Director of the GoFarm Hawai’i Program. Janel holds a Bachelor’s degree in Finance and a Master’s degree in Human Resource Management. She has been a VP of a large bank in Hawaii and has particular expertise in financial analysis, compliance, project management and human resource issues. Janel has consulted with farmers throughout the state and teaches the GFH business classes. 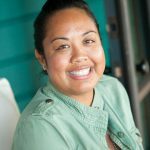 Statewide Program Coordinator for GoFarm Hawai’i. Nora comes with 12 years of experience as an owner/manager of a 10-acre diversified organic vegetable and poultry farm in New Mexico. She has also worked for and managed farms in Florida, the US Virgin Islands and Mexico. She holds a Masters in Advanced Public Health Nursing from UH Manoa – with hopes of tying her interests in agriculture and community health together. 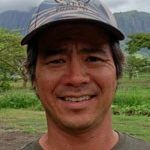 Jay is Farm Coach and site manager at GFH @ Windward Oahu program and also serves as Senior Farm Coach, working with all GFH sites to further develop their programs. He studied Agroecology at Prescott College and Interdisciplinary Ecology at the University of Florida. His career in agriculture and ethnobotany have taken him to New Mexico, North Carolina, St. Croix (USVI), Mexico, and Belize, where he has both worked and taught at numerous production, seed, and educational farms. Jay originally came to Hawaii to study at CTAHR, but jumped at the chance to combine his passions for food production, applied research, and teaching with GoFarm Hawaii. Besides helping train new farmers, Jay is an active amateur breeder and seedsman, working with the Hawaii Seed Growers Network and other variety trial networks. He is also involved with projects such as FarmLink Hawaii and the Waimanalo Co-op, working to directly link small growers and consumers. Eric is the Farm Coach and site manager for GFH @ Kaua`i. Eric has a M.S. in Tropical Conservation Biology and Environmental Science and a B.S. in Environmental Science from UH Hilo. His work experiences include commercial taro farming, orchard production, sales at farmers markets, botanical inventories for EIS, an internship at NRCS, and managing the largest ex-situ collection of endangered flora for the National Tropical Botanical Garden. Ann is the Lead Instructor for GFH @ maui. She is also the Assoc. Professor of Agriculture at UH Maui College. Ann, a recipient of the UH Regents’ Medal for Excellence in Teaching, has taught hundreds of Hawaii students in the science, production, and business aspects of agriculture. Derrick is the Farm Coach and site manager for GFH @ The Kohala Center. Derrick has B.S. 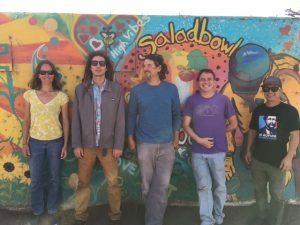 in Agriculture from UH Mānoa and studied Community Food Systems at Michigan State University. Prior to serving as Farm Coach, he directed The Kohala Center’s Beginning Farmer-Rancher Development program. Daniel is the Farm Coach and site manager for GFH @ North Shore O’ahu. Graduate from The College of Agriculture at the University of Vermont. Daniel has been farming in Hawaii since 2011, including 3.5 years managing and leading education about an organic operation at a large Oahu farm. He is an active Board Member of the Hawaii Organic Farmers Association and operates an Avocado farm in Waialua. PJ assists Ann as the Farm Coach for GFH @ Maui. Graduate of UH Maui College in Sustainable Tropical Crop Production with Certificates in Pest and Soil Management. Has experience in educational and production farming. Studied Ethnobotany in Scammon Bay, a remote village in Alaska. Consultant with the UH Agribusiness Incubator Program, Erik provides training and consulting for GFH AgPro students. Erik has worked in large CPA firms and businesses specializing in accounting, and at a global professional services firm as a management consultant. Consultant with the UH Agribusiness Incubator Program, Pomai brings experience in marketing, community relations, agtourism, and social media. She has served as a consultant to the Hawaii AgriTourism Association and as Marketing and Community Relations Director for Ali`i Kula Lavender Farm.